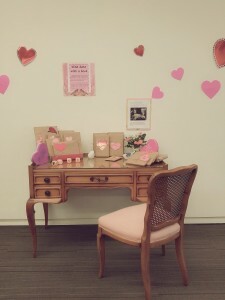 Fuller Library > News > featured > Blind Date with a Book! Fuller Library is challenging you to do the same! 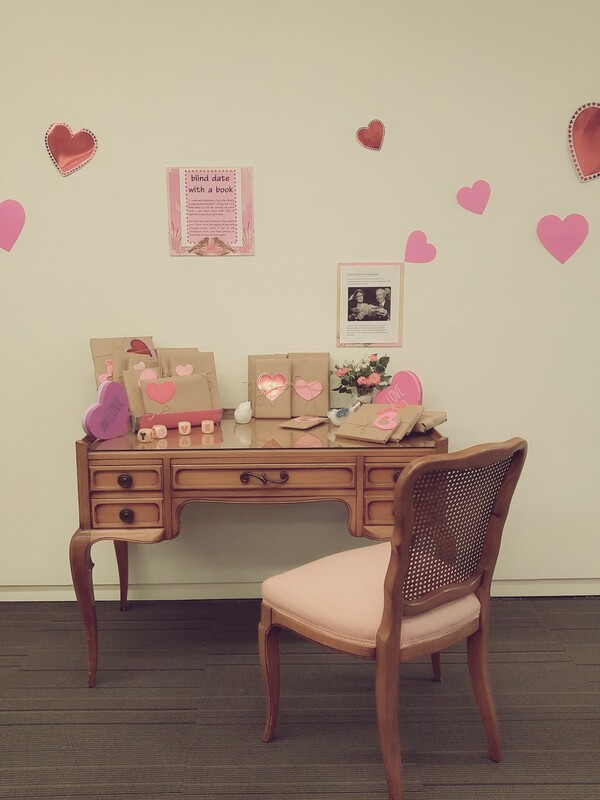 Stop by our Blind Date with a Book display and pick out a “date.” Take the book to the Circulation Desk and get some sweets for your sweet! Who knows…perhaps you will fall in love! Also, the desk is straight from our Archives – it belonged to and was used by Grace Fuller! Take a picture with your “date” and be sure to tag #fullerlibrary and #blinddatewithabook on Instagram and Twitter!